Our mission is to transform the global workforce one life at a time. Our learning solutions are designed and built by employees who are experts in their field, integrating the best practices in education and training to deliver knowledge and skills for real jobs. Our success is defined by an ability to provide these solutions with world-class service and support. Amatrol currently serves a wide range of educational markets including universities, community colleges, technical colleges, vocational schools, high schools, middle schools and industry. The programs served within these institutions include engineering, engineering technology, technology, construction, manufacturing, robotics, computer integrated manufacturing, electrical maintenance, mechanical maintenance, mechatronics, and pre-engineering. Amatrol offers learning systems for a broad array of topics including: power and energy, controls, manufacturing processes, design, fluids, fluid power, thermal, electrical, electrical motors, mechanical, communications, robotics, computer integrated manufacturing, mechatronics, and automation. Amatrol also offers a rich array of multimedia and eLearning on all key technical topics including hands-on technical skills via virtual trainers. 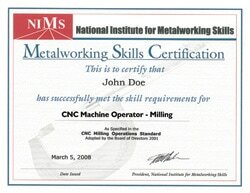 ***NEW***Amatrol Now offers NIMS certifications! Amatrol training solutions are available from Moss in Iowa, Illinois, Nebraska and South Dakota.